Huawei Enjoy 9 Plus smartphone was launched in October 2018. The phone comes with a 6.50-inch touchscreen display with a resolution of 1080x2340 pixels. Huawei Enjoy 9 Plus is powered by an octa-core Kirin 710 processor. It comes with 4GB of RAM. The Huawei Enjoy 9 Plus runs Android 8.1 Oreo and is powered by a 4,000mAh battery. As far as the cameras are concerned, the Huawei Enjoy 9 Plus on the rear packs a 13-megapixel primary camera with an f/1.8 aperture and a second 2-megapixel camera. On the front, the Huawei Enjoy 9 Plus packs a 16-megapixel primary camera with an f/2.0 aperture and a second 2-megapixel camera. 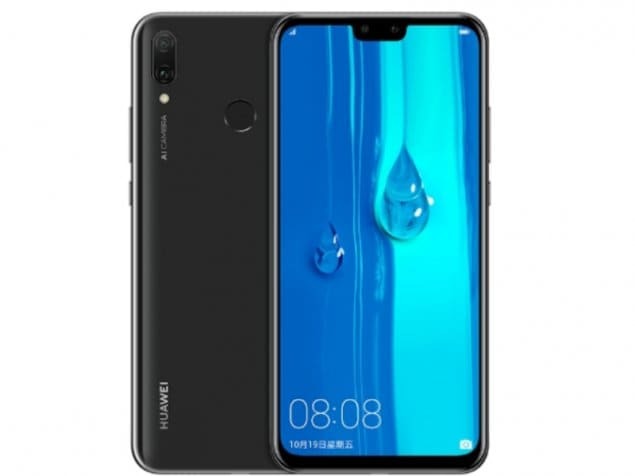 The Huawei Enjoy 9 Plus runs EMUI 8.2 based on Android 8.1 Oreo and packs 64GB of inbuilt storage that can be expanded via microSD card (up to 400GB) with a dedicated slot. Connectivity options on the Huawei Enjoy 9 Plus include Wi-Fi 802.11 ac, GPS, and Bluetooth v4.20. Sensors on the phone include accelerometer, ambient light sensor, gyroscope, proximity sensor, and fingerprint sensor. The Huawei Enjoy 9 Plus measures 162.40 x 77.10 x 8.05mm (height x width x thickness) and weighs 173.00 grams. It was launched in Magic Night Black, Sapphire Blue, and Aurora Violet colours.